Having financial protection means you are prepared for two possible mistakes. First, you financially protect your family against the possiblity of dieing young. 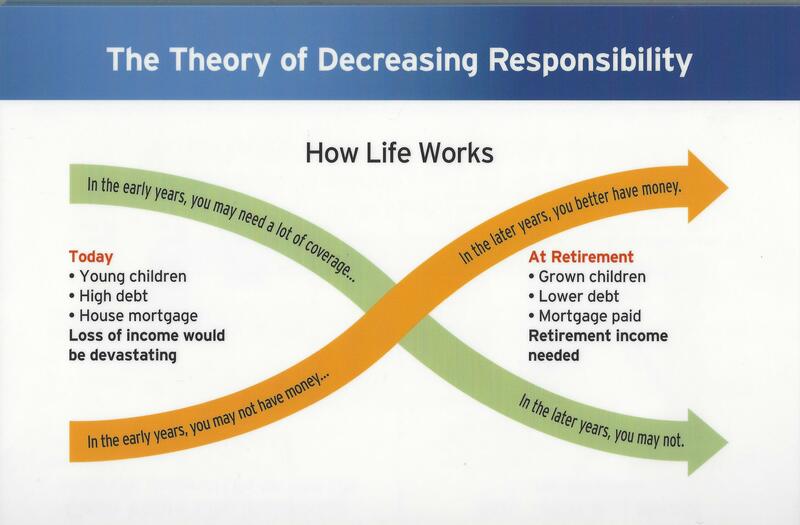 Second, you financially protect yourself against the possiblity of living too long. If you died today would your family be able to survive financially? If you live to 100 will you have enough money? Dave Ramsey has a lot to say on the matter. Permanent insurance costs more and has more fees3. Investing the difference allows the you to access the money directly instead of loan from the policy. A permanent life plan means you have to borrow and pay someone else to access your money! Buy term insurance and investing the difference because having investments on hand that produce income or can be converted to cash is superior to permanent insurance with a monthly premium. An account at your bank or an investment fund, which are in your name and not your insurance company's name, is better. You own the account and the money and have legal access to it all the time. You only needed life insurance for a set "term," and when that term has ended, you should be self insured (with investments) with few, if any, financial responsibilities. 4 Term vs. Whole Life Insurance: Which Is Best for You?